There is a celebration taking place on the coast of Mexico. A woman and man are saying their vows amid a festivity of color, excitement, and hints of religious and traditional details. A wedding is definitely something to see that you will never forget and there hasn’t always been Mexico wedding photography to capture it. That doesn’t mean that couples haven’t been getting married in the country. 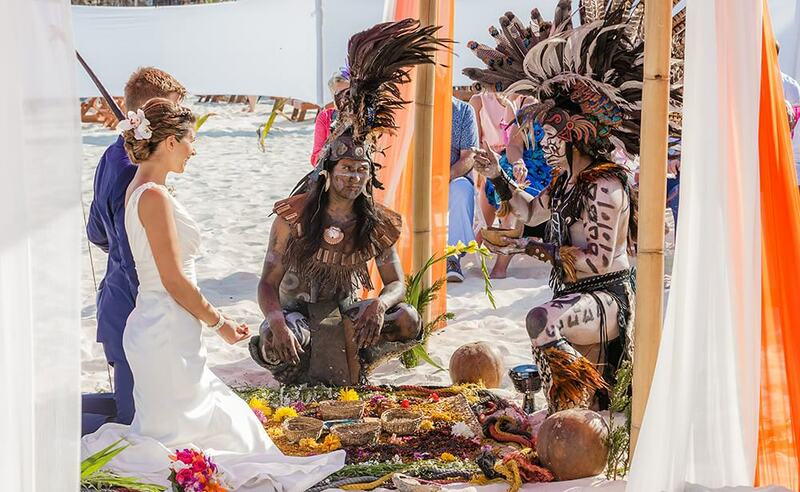 In fact, ceremonies date all the way back to the ancient Mayan times. Although much has changed and your own ceremony may not be in the same cultural tradition that has been celebrated for years, you may be like many and you may wish to enjoy a wedding in Mexico. There are numerous photographers in Mexico who will try to capture your special day. However, remember that your wedding will go by in such a blur that the only way you may remember the details is if you have beautiful photographs to look at. If you choose the wrong wedding photographer while you are in Mexico, then you may regret the decision when the images simply do not capture the exotic, tropical beauty of your wedding. One look at our galleries and you will see that we have a distinct style. We understand every little detail to the environmental splendor, it is all important. Whether you get married at some of the local Mayans, in a traditional Catholic church, or on the beach, we will do our best to capture your moments perfectly. Thousands of years ago, wedding ceremonies were likely quite different. In fact, most marriages were arranged and couples simply became married under the guidance of a leader. Through the years, things have changed drastically and Mexican weddings are steeped in culture. For hundreds of years now, the vast majority of these ceremonies took place in a Catholic Church or chapel. A formal occasion, the event included rosary beads called a lazo and other important details. In the past few decades, these events have been captured by Mexico wedding photography. With the advent of the camera, which actually dates back to Civil War times in America, photographers were able to give brides and grooms momentoes of their special day. Of course, early wedding photographers in Mexico could only capture still shots and the couple would have to stay in a formal pose for several minutes. Then, photography began to change and for quite a long time now, the Mexico wedding photographer has been able to capture all moments of the day, posed or not. Since the digital camera was invented, wedding photographers can be even more creative in their work. Even modern brides have found opportunities for amazing ceremonies in locations throughout Mexico. Many happy couples have chosen the beach for a casual and exotic setting. They can stand hand in hand with the blue sky above them, waves rolling in, and a lush green backdrop behind them. 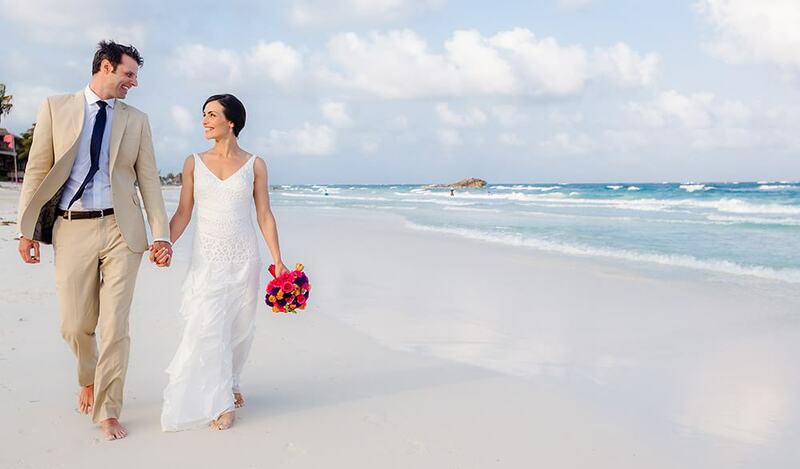 Modern brides also often choose the all-inclusive resorts located throughout Mexico so that they can enjoy modern amenities while they still have a tropical ceremony. Of course, there are still quite a few couples who want to enjoy some of the historical tradition they choose to have their weddings in one of the Catholic churches. Whether you choose to follow in their footsteps or create your own special day, you will have an entire paradise to choose your perfect location. When you pick the right Mexico wedding photographer, your day will be captured perfectly. For thousands of years, there have been civilizations that called Mexico home. For almost as long, there have been couples getting married in one ceremony type or another. 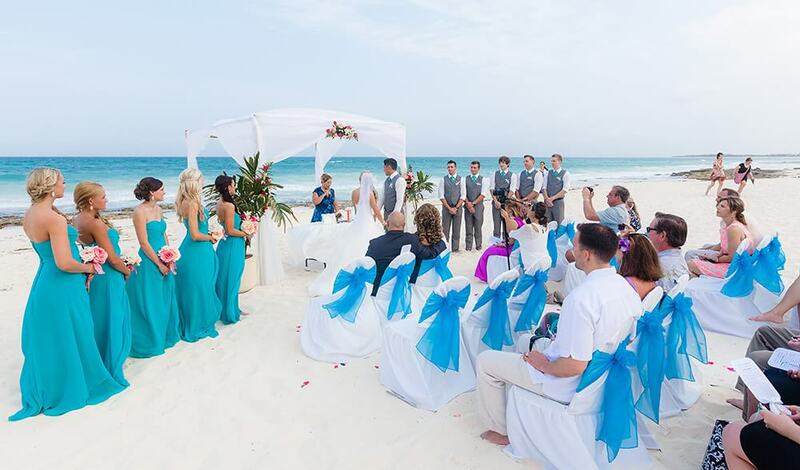 From traditional Catholic ceremonies to modern casual events on the beach, Mexico offers something that will appeal to anyone.